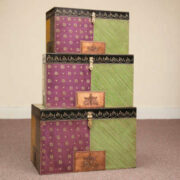 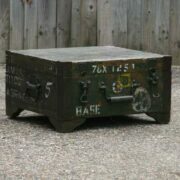 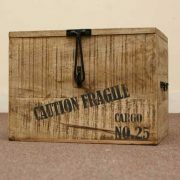 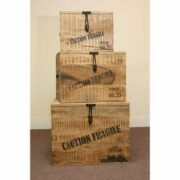 The hinged top of this large wooden trunk has a dark brown glossy finish. 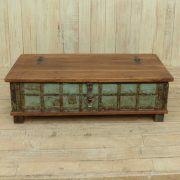 Its front and sides are dark brown in colour with rustic slightly blue metal overlay and an ornate lockable clasp. 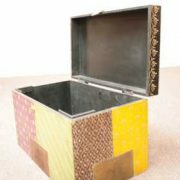 One of our more rustic trunks, this piece holds a generous amount of storage and can be used as a blanket box or secret hiding place for more precious items.